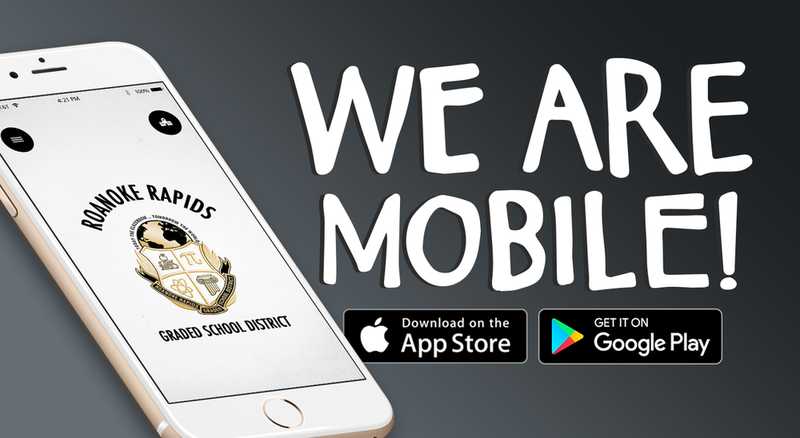 In an effort to improve communication with parents, students, and community stakeholders, the Roanoke Rapids Graded School District launched a new mobile app compatible with smartphones and tablets. The district also redesigned its rrgsd.org website making it more interactive. “RRGSD is proud to launch our new app that will make communication more accessible to our families and community. This is another step towards preparing our students to become globally responsive citizens,” said Dr. Dain Butler, Superintendent. We realize our schools are busy places and parents need a trusted place to find accurate information. We also recognize our parents have busy lives too and its not enough to just stuff a flyer in their child's backpack and expect feedback. This app allows us to have more two-way communication and keep all stakeholders better informed. When parents have questions for a specific teacher for example, they can contact them directly using the app. “In addition to daily school news, events, lunch menus, and athletic scores, users will also receive notifications from each of our schools and district office. The app can be customized to receive notifications from each individual school or to multiple schools if parents have students in several schools, said Mark Kuchenbrod,” RRGSD Chief Technology Officer. The district started working nearly a year ago with Apptegy, an Arkansas based technology company that specializes in school system digital connectivity. The mobile app was launched in April for testing. With the mantra “Kids Are Our Customers” in mind, the RRGSD system was built with instant notification in mind. For example if there is a school emergency or weather related closing/late opening, the district can disseminate information to within seconds. As a district we wanted to be able to send our parents a notification, text, phone call, post a notice on our social media, and on our website with one click. This new system allows us to do that. The app can be downloaded in both the Apple App Store and Google Play. It is compatible with both smartphones and tablets.